The NatWest credit cards are issued by Royal Bank of Scotland and include Classic Credit Cards, Platinum Credit Cards and YourWorld Points World MasterCard along with a wide range of other credit cards tailored for people from all walks of life. The Classic Credit Card is meant for people who have completed 18 years of age and have an annual income of at least £10,000. The card comes with 0 percent on all purchases made for the first 13 months, after which a variable APR of 17.95 percent applies, plus 0 percent on all balance transfers made for the first 13 months with handling fees of 2.9 percent. One of the top benefits of being a Classic Credit Card holder is that you can get fantastic discounts on vacation packages at NatWest Travel Service. 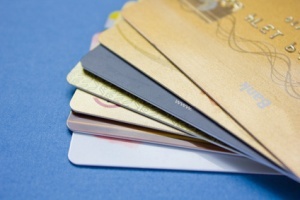 You only have to visit www.natwest.com/yourcard to get the latest deals. The card’s Direct Debit feature enables you to either make the minimum payment or settle your entire balance in time. You can also move the funds in your credit card to any account you hold in any UK bank. You can withdraw as much as £300 daily from ATMs all over the globe depending on your credit limit. The card comes with no annual fee and if you make your payments on time, you will get credit on purchases free of interest for as many as 56 days. The Platinum Credit Card comes with 0 percent on balance transfers for the first 18 months and 0 percent on all purchases for the first 6 months. If you pay your dues on time and stick to the credit limit, you will get interest-free credit on purchases for as many as 56 days. Card holders also have complete protection against online fraud and cheating. You can apply for a Platinum Credit Card if you a UK resident aged over 18 and with a minimum annual income of £10,000. The YourPoints World MasterCard is an excellent rewards credit card, which gives you points whenever you spend. You can use your points on purchasing vacation packages and flights or on products and services at Amazon, M&S and Boots. The card comes with 0 percent interest for the first six months, after which a variable APR of 16.95 percent applies and a wide range of insurance benefits. The Black Credit Card has a variable APR of 19.7 percent and is available to UK citizens above 25 with an annual income of £75,000. This card comes with an annual fee. The NatWest Private Credit Card comes with 0 percent interest on all balance transfers for the first 13 months and 0 percent on all purchases made for the first 6 months. The variable APR is 14.94 percent. You need to be over 18 with a minimum annual income of £100k. The Student Credit Card has a variable APR of 18.9 percent and is available only to UK citizens above 18 years of age.